The Morgan Arms: A quiet relaxing pub hidden away from the bustle of East LondonEnjoy 2-4-1 cocktails at Balans Bars across London with this exclusive deal!Brick Lane’s best Fro-Yo Spot, The Sloane Bros.
You’ve probably seen the ‘Baby On Board’ TfL badges that many pregnant women wear whilst out and about on the underground. Now there’s a new badge being trailed to make journeys every easier for those less able to stand. From 12th September Transport For London is trialling a new blue badge, which is giving disabled passengers and people with hidden conditions, illnesses and injuries the chance to get a seat on public transport, especially if their disability or illness is not easy to spot. 1,000 people are taking part in the six-week trial to assess how successful the badges are for passengers wearing them, and to gauge the reactions of others. It could make an awkward situation far easier. The testers will also have a card that can be shown to TfL staff, so they know what’s going on. From Monday 12 September, we are trialling a new badge and card on all our services to help our customers who are less able to stand get a seat when they need one. We need your help to support the campaign. Apply to take part or learn more on this page. 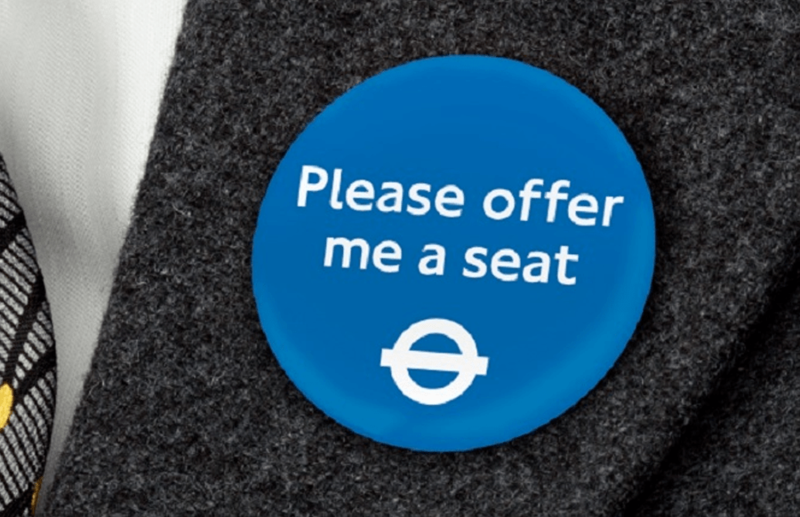 The new blue badge trial follows passenger feedback and TfL research that found some people with hidden disabilities, or those undergoing medical treatment, can find it difficult to get a seat when they need one — particularly if their need isn’t immediately obvious. It sounds like a great idea, and one that could really make transport far more accessible and friendly to those who may struggle. Anyone interested in taking part can get in touch with the research agency 2CV, who is working with us on the trial, by emailing tfltrial@2cv.com.